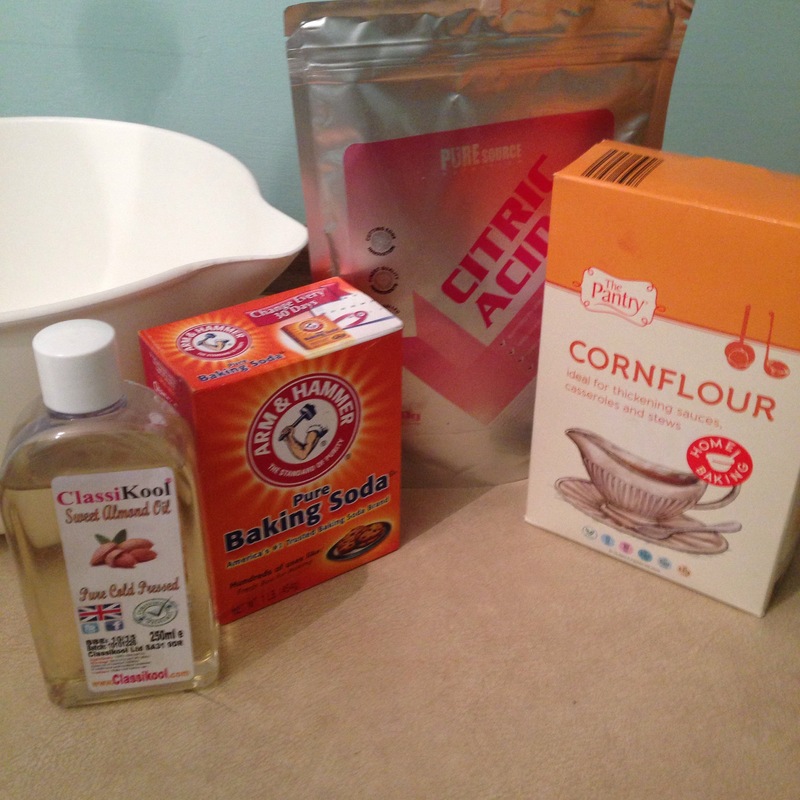 So after hearing you could make bath bombs from every day household items I decided to look into it a little further! 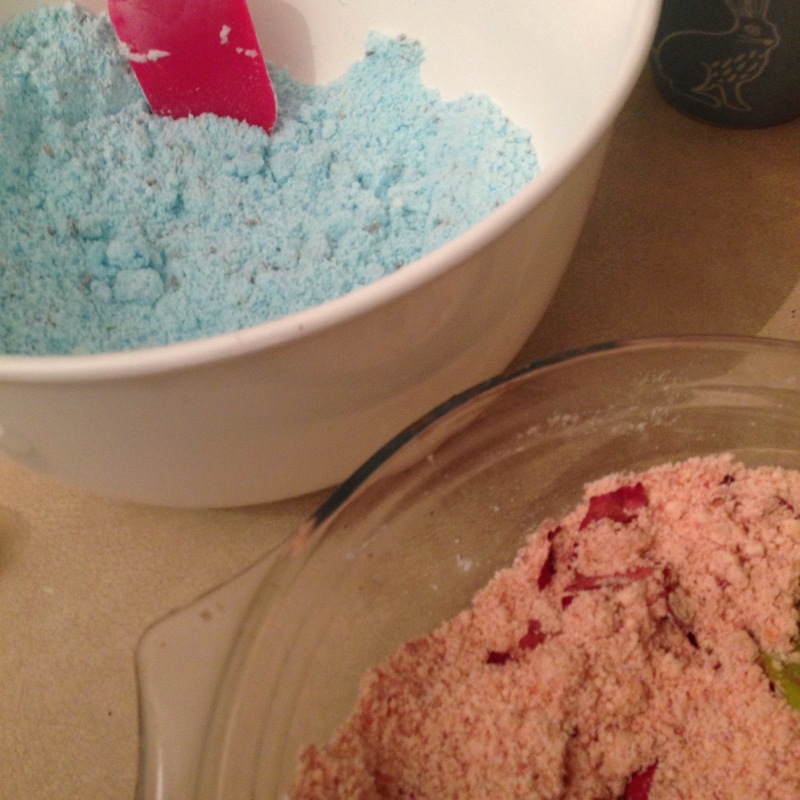 I found a couple of recipes that were simple but they apparently weren’t very fizzy, I’m not a bath bomb person but the name bomb indicates an explosion, so I started looking for a fizzy recipe. Also “a” cup of citric acid is about 300g! 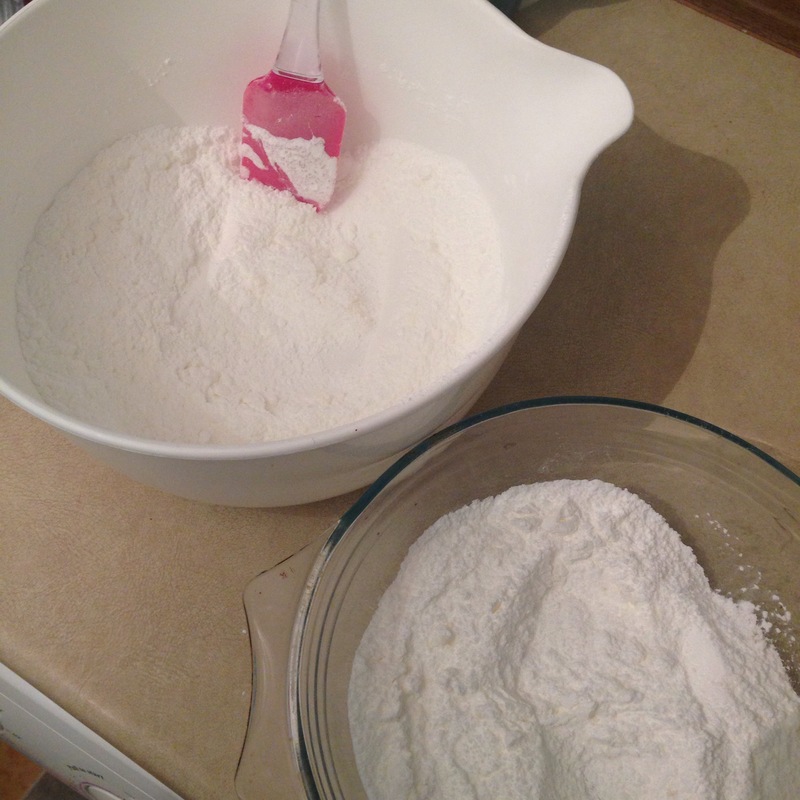 I highly recommend using a large mixing bowl as it gets a little messy especially in these quantities! Follow by adding 3tbsp of almond oil and stir, then add the fragrant oil again about 3tbsp, I used rose oil in one batch and lavender oil in the second which is seriously strong! 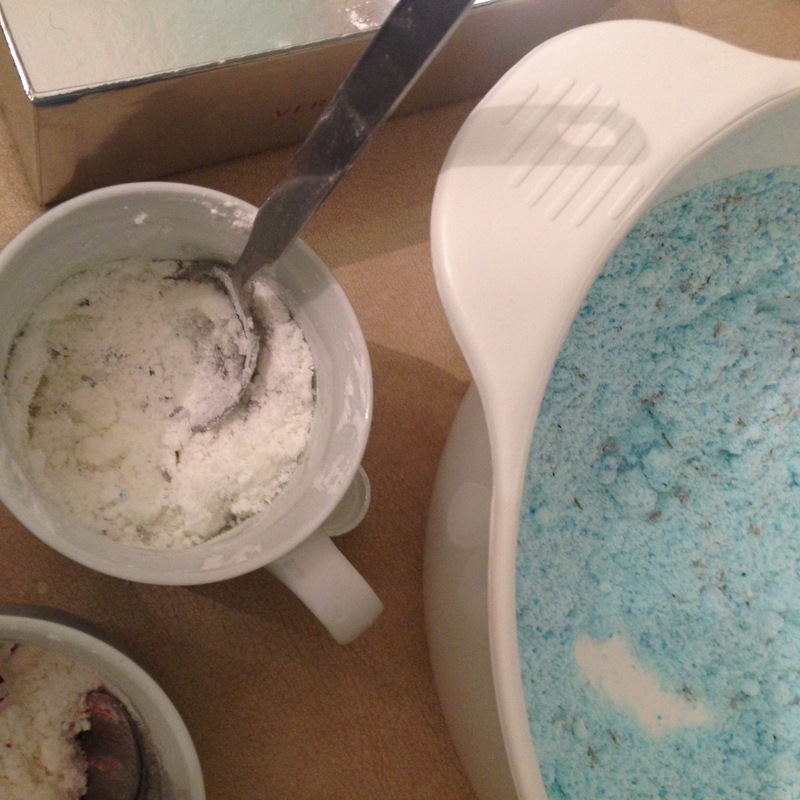 For my bath bombs I split the batch into two and added colour to one and left the other white to create a nice effect in the bath bombs! You simply add food colouring to the mixture, as much or as little as you fancy really, I used two drops as I quiet like pale/pastel colours! 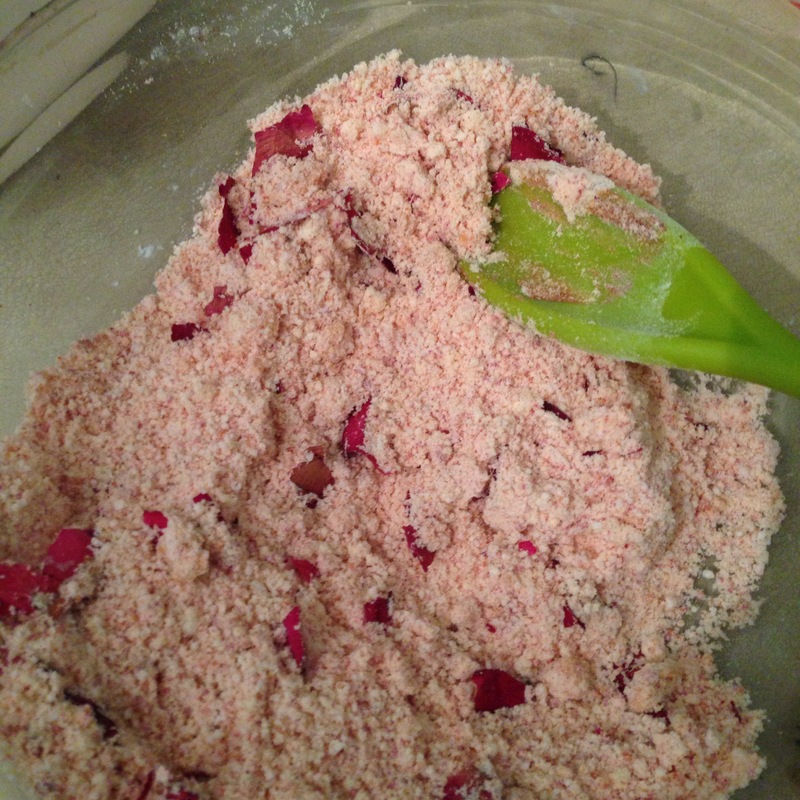 Also when you add the food colouring it fizzes so stir it in quickly – it is quiet fun to watch! 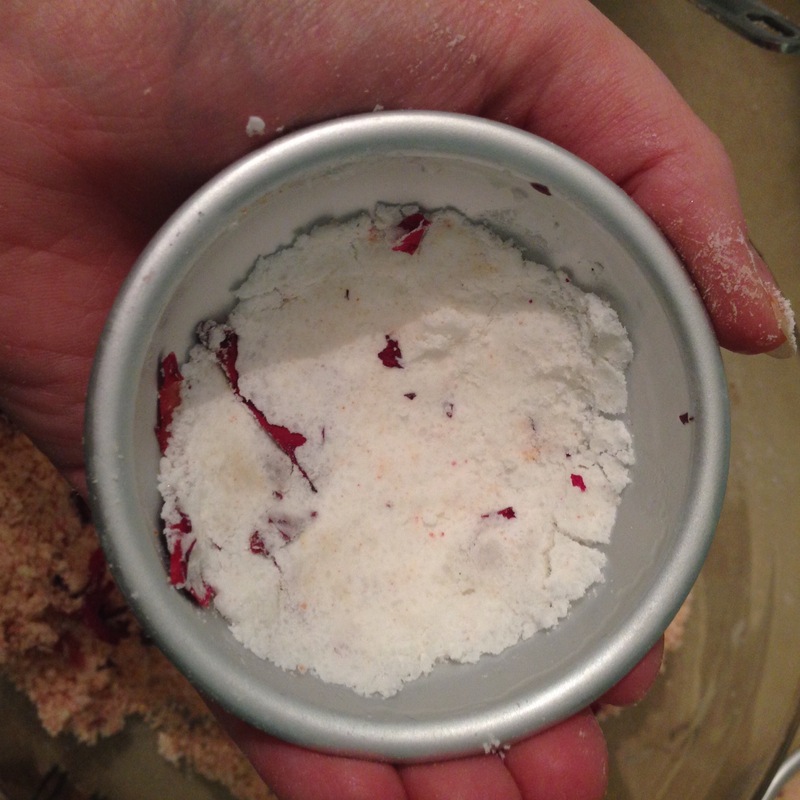 I decided to add some naturally dried goodness to my bath bombs for added pamper! I bought dried lavender and rose petals which are quiet cheap! 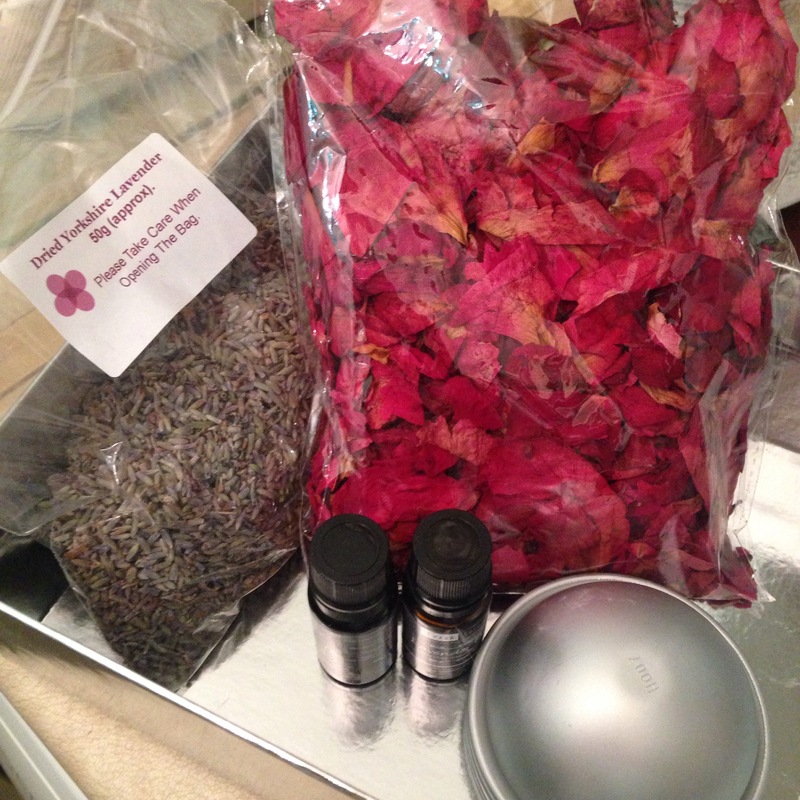 I added lavender to the lavender batch and rose petals to the rose batch.. Obviously! Although you can mix it up, go crazy why not! Now I purchased the “smallest” bath bomb moulds you could get and they are huge! They are 6 half spheres that make up 3 whole spheres, and they are massive so I ended up making half bath bombs! I layered up the colours in each bomb to create patterns throughout! I also used chocolate moulds to make smaller bombs, which turned out quiet well! Leave the bombs to dry out, the smaller ones took a lot longer so I left them in the mould overnight to dry out a little better, the largest bombs dried a little sooner so I removed them from the mould and let them dry out! If like me you let them dry overnight and still had mixture left over just pop it in the fridge until you need it again! I filled empty pesto jars with the smaller bombs to make cute pamper pots! 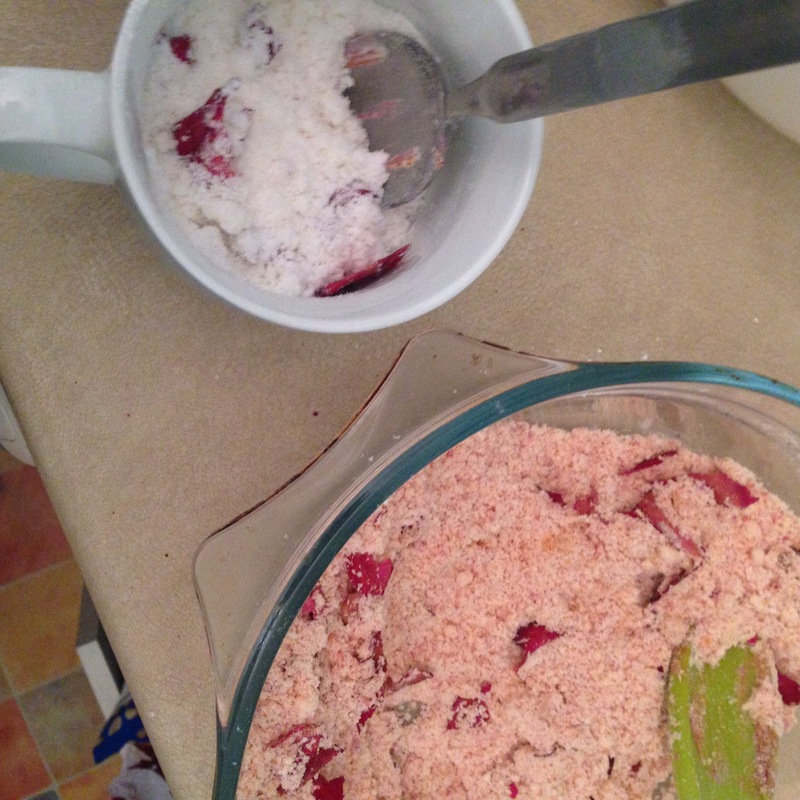 Overall the bath bombs were easy to make and all ingredients and gizmos came to about £12, I used all the citric acid and baking powder but the remaining ingredients can be used again and again! I would recommend this to any bath lover and these are a lot cheaper than the lush bath bombs. You can buy massive bath bomb moulds as well so I think in the future I will try some extreme bath bombs!